Figure 1: Web evolving (Source: Silver, Charlie. n.d.). From 1.0, 2.0. 3.0, 4.0… the line of continual developments will continue to infinity. Our conscious or unconscious wants or needs for the advancement of technology will continue. Lives are time poor and we want technology to steal back time for us. The thing we haven’t considered is to spend less time on technology – Strange? Smartphone and mobile technologies are already changing the face of how we use the Internet. We transition from once device to another device thought-out our day. Figure 2: Computer Usage (Source: Chaffey, Dave.2016, April 27). 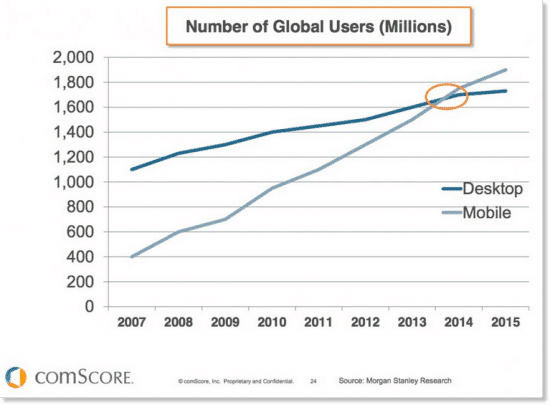 Mobile device ownership now excels far beyond desktop devices. The software has transitioned and mobile technology is focused on native or dedicated Apps that are standalone programs. This software uses location services to track the user; Google Maps, Get Running, Apple Pay, Photos etc. The information aids the user experience and allows the developer to gain user insight and usage information. Information gathered enables the developer to be a step ahead needs and increase development. 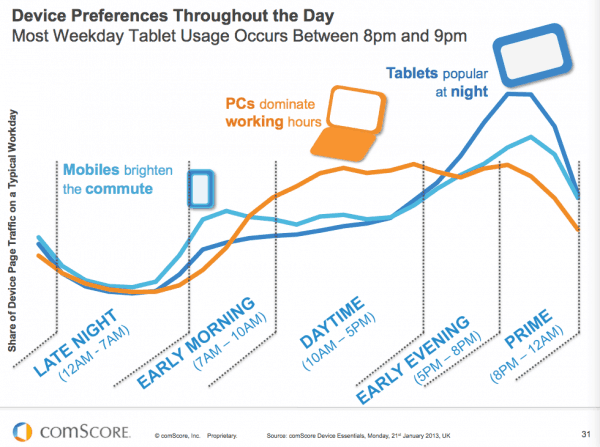 Figure 3: Device usage (Source: Chaffey, Dave. 2016, April 27). Tim O’Reilly explains the Internet of Things (IoT) is a combination of sensors, a network, actuators and then the use of creativity. “So, let’s generalise the #IoT paradigm as sensors + network + actuators + local and cloud intelligence + creative UI for gathering both explicit and implicit instructions from humans” He uses the example of a dumb thermostat which has manual controls and is made up a sensors an actuator and then you introduce a smartphone / software it turns it into an IoT device. With the Nest thermostat, it will learn from your environment, turn off when you leave the room, adjust for moisture and even remind you of filter changes. 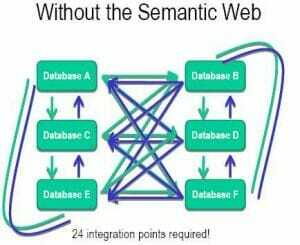 Was ‘Tay’ Artificial Intelligence or the use of Semantic Web? It seems intelligent right? technology learning from how we live and how we like to live. The Web is developing intuition and has become more user-friendly to fit needs. ‘Tay’ unfortunately came to conclusions all by himself so was sent to the A.I lunchroom. 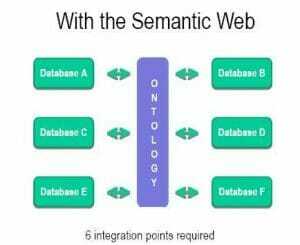 Semantic Web is a component of 3.0 and large business use Semantic Web technologies to help the user and themselves find the needle in the haystack with more efficiency and accuracy. Using ontology and taxonomy to determine the nature of the user and to future define and enable the user to record and call back information, it becomes a win-win situation for businesses and users. With all this learning and meaning businesses can use the data and information from the users social graph to improve their communication, sales, and marketing techniques. Reaching faster with more accuracy; defining Facebook Ads so they are only seen by 35 year-olds, females, who have an interest in perfume and reside within 50km of the City of Wellington for example. Thought about how much information there is about you on the Internet? How many times have you used your mother’s maiden name as a password hint, or liked your friend’s new dress on Facebook, or shared that you were eating at a Mexican restaurant on Saturday night? You don’t have to be an MI5 officer to understand that basic information we share says a lot about who we are, likes, dislikes. Let’s take it the cloud then. How many times have you been asked: “I don’t understand when they say it’s in the cloud?” “Where is the cloud?” All the big players are going there and they want you to come too – with your data, please!. There is a trust relationship when you offer up your password to a company for a phone app, or you log in with Microsoft or Apple’s cloud accounts. 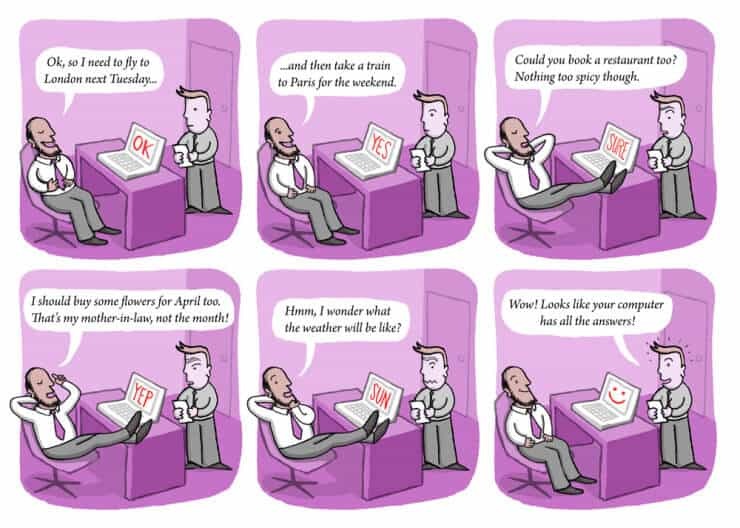 When we go to ‘the cloud’ we quickly realise it’s fast, it’s easy and it increases our productivity – BONUS! Can we fully trust them with this relatively new technology? Haven’t you noticed since we have moved into the third decade of the Internet that websites are cleaner and less cluttered?. Accounts linked everywhere, log in with your Facebook account here and here and here – makes it simple right? We skim and no longer read long paragraphs of data – like this! it’s boring we want to use our time wisely to check out what our friends are doing right now on Periscope, Facebook live streaming, Blab and the list go on. We have learned to socially communicate on a whole new level and enjoy spending time doing it. Anderson, P. (2012). Web 2.0 and beyond: Principles and technologies. Boca Raton FL: CRC Press.